The Best Three Hours of the Week from Excel Films on Vimeo. A great teaching aid for helping youth to get more meaning out of their sabbath worship. I loved it and have listened to it several times! 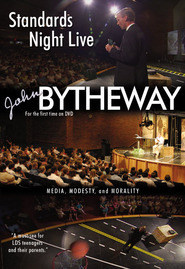 John Bytheway presents eternal principles in a way that not only keeps the attention of teenagers, but of everyone. And this is one of our favorites! John Bytheway is great at teaching and keeping you entertained. This is a really good talk. John Bytheway really has a gift for reaching teenagers and making what can seem dull exciting for them. I really recommend this for teens, especially the early teens to get them hooked sooner than later. The best hour during your work week! I have listened to this so many times and every time I hear it, I learn something new. This helped movie helped my family appreciate the importance of church and the Sabbath day. Great job yet again by Bytheway! 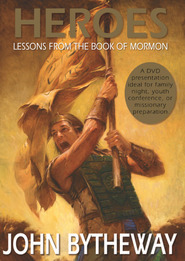 Everyone who attends Sacrament Meeting should watch this DVD! Just great! 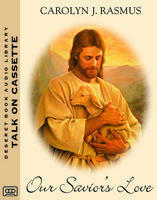 This DVD opens your eyes to the true meaning of the Sacrament, the covenants we make at church, the talks and the meeting itself. It is a great tool for helping the young and old better appreciate their role as being active participants in the Church of Jesus Christ of Latter-day Saints. This movie really inspired me to fully more enjoy the blessing of our church meetings! A great reminder for why we NEED to go to church. Although geared toward older children and young adults, this DVD is valuable to all. John Bytheway makes several good points and reminds us of the importance of our meetings on Sundays. We have watched it twice as a family. Using it in family home evening. Everyone should watch it. Whether you're young or old, John Byetheway's words will help you better appreciate the opportunity each of us to make better use of our communal worship time. With his usual humor and some very appropriately used scriptural references, Brother Bytheway helps emphasize the need we have to bring the proverbial 'spiritual bucket' spoken of by Elder McConkie to get the most of our time in Church. If faith is like a seed, and Sundays are our watering days then Brother Bytheway has taught me and my son how to access the well rather than waite for the rain and catch only the drips. And all through small things that make a great diffenece. , On a side note I bought this one for me and my 9 year old son took hold to Brother Bytheways humor and style, and the great chaptered type format and has now watched it 3 times on his own innitative, is taking it in, and still enjoys it!! Thank you Brother Bytheway!! This is a great reminder for all of us and it is presented in that fun way that only John can do.